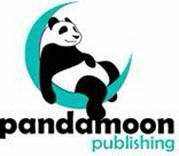 Professional author and Director of Marketing and Sales with Pandamoon Publishing. Author of Fried Windows, Wolfcats, and The Thuperman Trilogy. Currently lives in Irvine, CA, 3 adult children, divorced. I don’t know when it happened that most people in American lived in or around cities. When I grew up on a farm in the 1960’s and early 1970’s it didn’t feel that way. In the part of Ohio where I lived, I think roughly half the people at that time lived in small towns, on farms, or in the countryside. After visiting my old hometown, I get the feeling that things haven’t changed all that much in the past 50 or so years. A few months ago, I wrote a piece about going home to South Charleston, Ohio. The visit was rushed because of the schedule my publicist and I were on. We had less than a week to cover scheduled and unscheduled visits in three states. It was interesting seeing some of the places I used to live, though. Noting what had changed and what had not (most things hadn’t changed all that much) fascinated me. I had a crazy idea about visiting my old library, the place I learned to love books. I thought I’d donate my most recent books, the ones of which I’m proudest and a few others titles from my publisher, the great and underappreciated works of some of my dearest colleagues. Disappointingly, the librarians at the Houston Library of South Charleston were at best cool to the idea. To them, I was just another author (maybe they thought I was self-published) who wanted to get my opus onto the shelves of their hallowed halls. Really, what I expected was a brief conversation about my connection to the town and perhaps sharing a few anecdotes from the past – things that only someone my age might remember about the curious little town. That part of the conversation never happened. It is a rite of passage for an author to have a book on the shelves of a library. It’s not as easily accomplished as you might think. Space in a library is at a premium. Although they may want to support authors, especially local ones, they also have to answer to superiors about their borrowing rates. When I lived in Melbourne, FL, the local library was more receptive to my first two publications. I recall the feeling of accomplishment I had when later on I visited the library with my daughters and together we perused the stacks until we found my books, alphabetical by author. No, it didn’t appear that anyone had checked either of them out. But still, that ranked high on the cool factor for all concerned. I was speechless after the reception I received in my hometown, which is something for me to say. My publicist commented that the ladies were rather rude. As I said in the previous blog post, they weren’t expecting me. Since then, a lot of things have changed. I moved to Southern California, meaning I’m farther away from my roots. Although I have visited Ohio several times in the past few years, always before I stayed around Cleveland. The visits were intended to have a more local base of operation for other excursions. One year Christine and I went to Chicago, for example. As my publicist lives less than a hour to the west of the Cleveland, it made some sense going there and driving to various places across the Midwest. Since I’m now three time zones distant, I’m not sure when I’ll next be able to swing a trip to the Ohio. I know that if I do return I want to have something scheduled for South Charleston, perhaps at the library of maybe Miami View Elementary. I’d also like to visit Shawnee High School in Springfield. That is where I graduated in ’74. Actually, I’d like to spend a few days in the general area, connecting with some old friends and relatives. On the past trip I was able to meet up with two of my cousins, Randy and Lanelle, but the schedule was so tight that even that almost didn’t happen. Truth is that the potential I had at eighteen years of age when I went off to college has greatly diminished. I had lots of dreams, and some were pretty big. Forty-four years later, I’ve accomplished some things I set out to do, but certainly not everything. I have seen a lot of the world, places the average person from South Charleston, Ohio never has. I’ve lived here and there throughout the US. And I have friends from all over the country and many around the world. I guess I’d like to go back home to tell the people who live there, people I have never met (or the sons and daughters of people I grew up with), that as scary as the big bad world may seem when you’re a teenager in a small town, there are enchanting places to see and wonderful people to meet everywhere you go. Most people are wonderful, you know – once you get to know them, once you get past the artificial barriers that separate us. Also, I’d tell them not to sell themselves short of the opportunity of stepping out and making a lasting mark. And, by all means, NEVER stop dreaming. It’s been a week since I flew into LAX to begin a new chapter of my life in Southern California. For the most part I’m settled in, now. It’s great being with my son again and helping he and his wife, Laia, with the newborn, my grandson, Jackson Legend Williams. But settling has required some adjustment. The weather is considerably different here from Florida. Although the climate in Orlando is considered semi-arid, it always feels like it’s about to rain because of the humidity. And though it doesn’t rain everyday (and can go for long spans without any precipitation) it certainly rains more than it does in Irvine, CA. Here, the humidity is generally lower at midday. This time of year, it tends to be foggy in the early morning, though. Another adjustment I’ve had to make is the time. It’s 3 hours earlier here. That means stuff I used to get up to do at 3 AM I can do at midnight before going to bed. Also, if watching a night game on TV, it usually starts before sunset and ends around 9 PM. I’m not sure my body has completely adapted to new scheduling requirements, but I am better off than I was the first day here. I’m told that adjusting is worse going from west to east. I don’t doubt that. I recall how painful it was getting used to being back in the States after spending two years in Asia. This is not my first time living in California, either. While I served in the Air Force, I attended the Defense Language Institute at Presidio of Monterrey, where I spent about a year studying Chinese Mandarin. I’d like to drive up the coast to revisit some memories I have of the place, but I’m not sure when or if that will happen. Even though Monterrey is in the same state, it is about as far away from Irvine as, say Orlando is to Charleston, SC. Also, this is not my first time in the LA area. One of my fellow DLI students and I took a trip down here during 4th of July weekend in 1983. We stayed at his cousin’s apartment in Newport Beach, which is roughly 5 miles or so from where I’m living now. I have some friends who live in California. One lives upstate a bit. A couple of others live in LA. A fellow Pandamoon Publishing Author, Katie Masters, lives in the next town – maybe three or four miles from here. I’ve already contacted one of the LA people, a former model, actress and author. We’re meeting soon for lunch. My friend from upstate will be driving down here around mid-month. Since her birthday is around then, I’m thinking of taking her to a movie and dinner. A couple of editors I know live here, too, as well as two of the voice actors who have done Audible books for Pandamoon authors. My immediate plans are to finish a revision of a book that is set in this area. It’s funny, because when I wrote it I had not been in So Cal for years. There are things I need to correct. Concurrently I’ll be looking for a job, something to help with expenses while I’m here. Yes, a lot of things in California are higher, but so far what I’m seeing is that housing, fuel and taxes are the big difference. Everything else seems to be priced around the same as it was in FL, with some variation for food depending on where it is produced. A lot of fruits and veggies are cheaper here, for example, because they are grown in state.